Distribution and habitat: Cissus antarctica is an evergreen climbing plant widespread in warmer rainforest of Australia’s coastal regions. It is a true climber, supporting itself by tendrils. Because Cissus antarctica plants can grow high into rainforest canopies, their presence will be noticed because they spread fruits on the ground. These vines are also common plants of rainforest edges, with foliage forming a screen right down to the ground. Descriptions: Cissus antarctica is the best-known species of this genus. It can grow 2-3m (7-10 feet) tall indoors use as trained or hanging baskets. 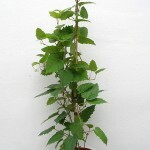 Its pointed-oval leaves are shiny, medium green and up to 10cm (4 inch) long. They have lightly toothed edges and are produced singly on short, red leaf-stalks. Where overhead space is restricted, growing points can be pinched out regularly to encourage the development of side-shoots. This will make the plants lower-growing and more bushy. 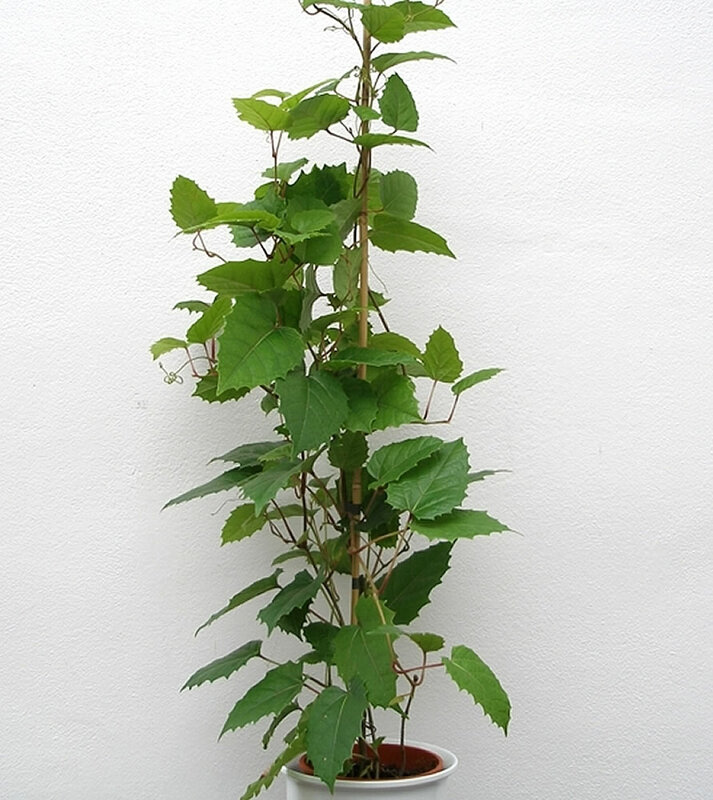 If permitted, they can produce at least 60cm (24 inch) of new top growth in a single year. Houseplant care: Cissus antarctica is a popular interior or houseplant with handsome serrated leaves and airy look which will thrive in a pot or hanging basket producing cascades of fresh foliage. Pinch out growing points of the plants periodically to promote branching. Any plants that lose a large number of lower leaves and become bare at the base should be cut back (if necessary, severely) in spring. Cissus antarctica can be trained on support. Train any vigorous stems into place and, if necessary, tie them to their supports. It is advisable to shorten the main growth of large plants by a third in early spring. At the same time cut back lateral growths to a node within about 2cm (0.8 inch) of the main stems. Spray and gently wipe leaves of Cissus antarctica plants when they look dusty. Light: Cissus antarctica will adapt well to a wide range of light intensity, even in subdued light. Ideally, they should be grown in bright light, but without direct sunlight throughout the year. Over-exposure to sun causes transparent leaf markings, which will eventually turn brown. Once established, these plants should be kept in the same position, as they dislike change. Temperature: Cissus antarctica likes warmth, 16 to 24°C (61-75°F) during the active growing period, but it does best if given a winter rest period at around 13°C (55°F). During the rest period, it does not do well above 15°C (59°F), especially when exposed to central heating, which can cause the leaves to drop. It can stand wide temperature changes and is fairly tolerant of draughts, but dislikes hot, dry air. Provide some additional humidity in the air in winter. Mist spray the foliage regularly, especially in extended hot conditions. Watering: Water Cissus antarctica moderately during the active growth period, enough to moisten the entire mixture at each watering and allowing the top centimetre (0.4 inch) or so of the mixture to dry out before watering again. During the rest period water Cissus antarctica plants just enough to keep the mixture from drying out. Feeding: Apply liquid fertiliser about every two weeks from early spring to early autumn. Potting and repotting: Use a soil based potting mixture. Move plants into pots one size larger each spring. As long as they are adequately fed, quite large plants with a height or spread of up to 2m (7 feet) can be accommodated in 20-25cm (8-10 inch) pots. After maximum convenient pot size has been reached, top-dress Cissus antarctica plants with fresh potting mixture instead of moving them on. Do not over-pot Cissus antarctica plants since they will grow very big quite quickly. 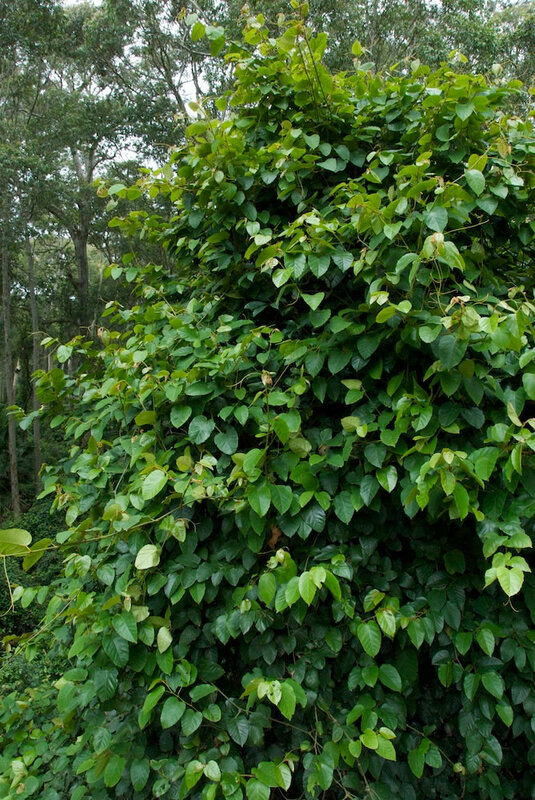 Gardening: Cissus antarctica is often used as a vine in warm temperate to sub-tropical climates as an ornamental plant in gardens. It can be used as spreading groundcover or climber. Position: Cissus antarctica plants should be placed in diffused sunshine to partial shade. Their leaves are hardy to full sun, but these plants prefer their roots to be well-shaded or under a thick layer of mulch. Soil: Cissus antarctica plants will do well in loamy, sandy loam, clay loam soil, enriched soil with pH between mild acidic to mild alkaline. However, well drained soils are preferred. To increase soil drainage use additional compost or other organic matter. Although it is recommended to place a thin layer of organic mulch to helps to feed these vines and keeps the soil cool and moist during the hot weather. Irrigation: Cissus antarctica plants need little to moderate watering. Keep the soil either dry between watering to constantly moist, but not wet. If the rain fall is abundant, good soil drainage will keep the plants healthy. Also, these vines can tolerate periods of drought and light frosts. 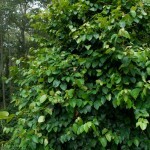 Fertilise: Cissus antarctica plants are heavy feeders as they are fast growing plants. Fertilise them every 2-3 months. Propagation: Young tip cuttings 8-15cm (3-6 inch) long will, if taken in spring, root in six to eight weeks under suitable conditions. Strip the lower leaves from the cuttings and dip the cut ends in a hormone rooting powder; plant four or five cuttings in an 8cm (3 inch) pot containing an equal-parts mixture of moistened peat moss and coarse sand or a substance such as perlite. Enclose the potted cuttings in a plastic bag and stand them in a warm place with bright filtered light. When new growth indicates that the cuttings are rooted, remove the bag and begin to water sparingly, enough to make the potting mixture barely moist but allowing the top centimetre (0.4 inch) or so of the potting mixture to dry out between waterings. When they are well established, repot the young plants in a standard potting mixture and treat them as mature plants. If preferred, trailing shoots can be layered into a nearby pot of suitable rooting medium. If the air in the room is especially dry, watch out for red spider mites which may gather on the underside of leaves and can cause considerable damage. Treatment: Spray with a suitable insecticide and raise the humidity by standing the pot on a saucer of moist pebbles. 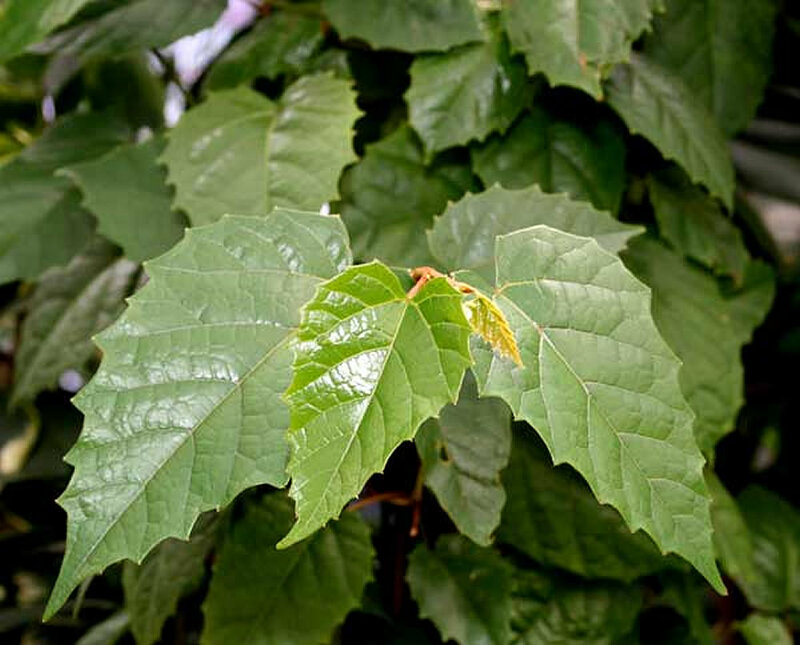 Brown patches on the leaves may be the result of sun exposure. Treatment: Provide Cissus antarctica with some shade. Shriveled, yellowing and falling leaves indicates over-watering and this may lead to rotting, if not corrected. Treatment: Withhold watering till surface of soil has dried. Brown dry foliage indicates lack of moisture in the air. Treatment: Improve humidity and cut out unsightly stems once the plant shows signs of recovery. Leaves crinkle and drop is caused by cold temperature. Treatment: Place Cissus antarctica in an even warm temperature. Mildew on the leaves is a sign of water-logging or inadequate drainage. Treatment: Spray these plants with a suitable fungicide at regular intervals. Avoid over-watering and poor soil drainage. The Cissus antarctica plants grow lush and invasive. Treatment: Stop feeding and cut back to a more satisfactory size. Cut at a leaf joint. 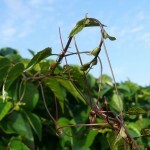 Lifespan: Cissus antarctica is long-lived and fast-growing vine which can be trimmed right back in spring if they become too larges for their position. It is an easy to grow plants and will not require special attention. Note: Cissus antarctica is safe plant to be used in reptiles enclosures. Cissus antarctica ‘Minima’ is a very slow growing dwarf form which produces spreading rather than upright branches. It is therefore an ideal plant for hanging baskets. Uses and display: Cissus antarctica is often trained on bamboo support as a room divider or as a backdrop to a collection of plants. It will fight to live, even in the most unfavourable, dark places. In shops and offices it can often be seen, the sole survivor in a container once filled with plants. Outdoors, a vine can be used to cover a fences or convert a large pergola into a shady outdoor space or left to scramble up a large tree. Cissus antarctica are also used as ground covers on large banks and road batters. Often used in public and private shows garden sculpture is an impressive display of outdoor art that reflect the playful personalities of it is fun loving gardeners. 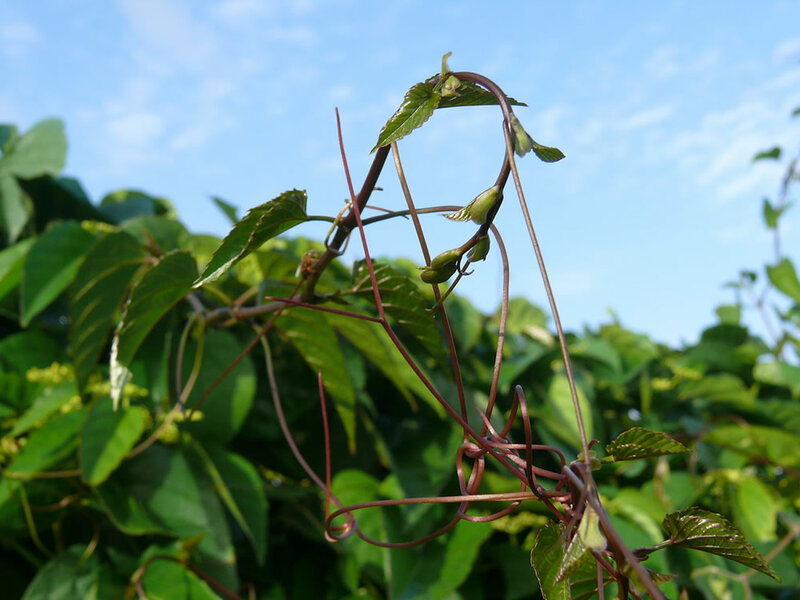 These vines are suitable for bush and tropical designs, used as informal screens, pergolas, groundcovers, spillovers, pots or hanging basket plants.